Rohit Shetty’s name has always been synonymous with family entertainers and this Diwali the filmmaker is all set to give the audience the fourth installment of Golmaal series – Golmaal Again. Moviegoers are eagerly awaiting the release of this film, this festive season. 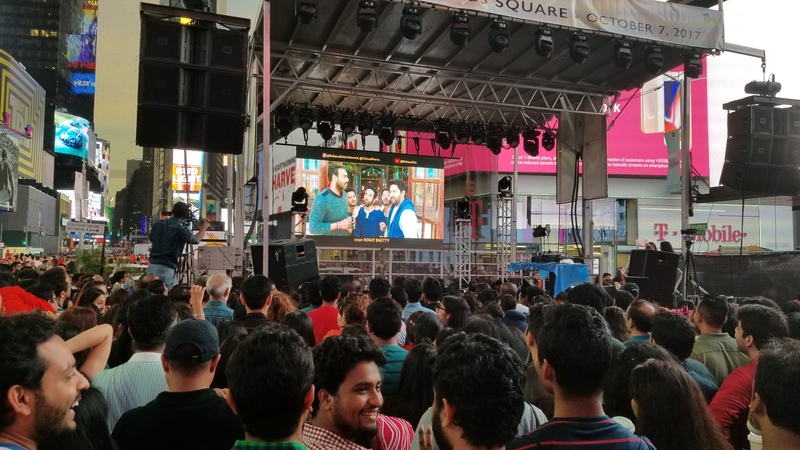 Not only in India, but Indian movie fans abroad too can’t wait to watch the film and one saw a glimpse of the same at Times Square in New York where the trailer of the movie was played multiple times between 2pm to 9pm. 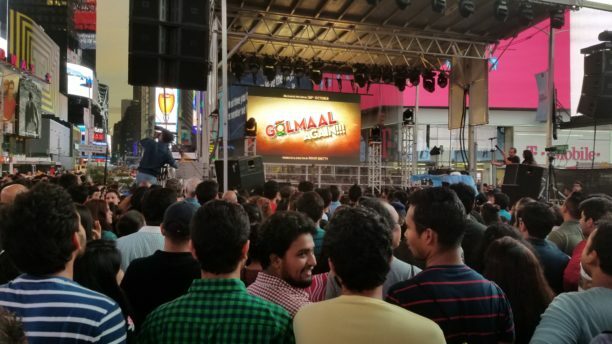 Thousands of people gathered at the square to watch the trailer of the comedy flick. Not just Indians, but foreigners too stood and watched the trailer. The trailer was played multiple times due to popular demand from the live audience. All of them were left in splits after watching it and were talking among themselves how they can’t wait to watch the film as soon as it hits the theatres. As soon as the promo came on there was a gush of euphoria amongst the people, they were elated, laughing hysterically, high fiving each other, all in all an amazing response. Well, we are sure the audience will shower its love to the film from all quarters upon its release.